PlayGround and PlayGround-LA are teaming up with Stella Adler Academy and Theatre for a new short play contest in support of National Suicide Prevention Week. 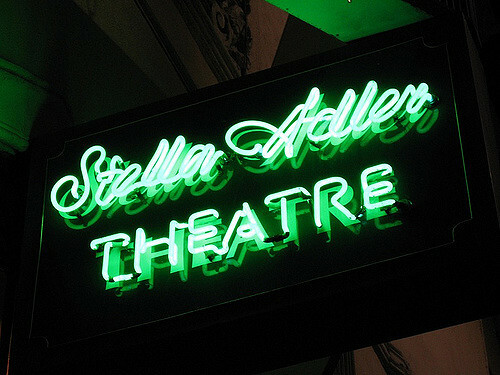 Six short works will be selected and presented at the Stella Adler Theatre in Hollywood for a three-performance run, September 9-11. Playwrights will each receive a $50 cash prize as well. The deadline for the short play contest has recently been extended to June 30, 2016. For the complete guidelines, read on or visit http://playground-la.org/suicidepreventionplaywritingcompetition.pdf. Six plays will be selected from the submissions. The plays are to explore the themes of Suicide Awareness and Suicide Prevention. For suggestions and guidance on how these issues may best be addressed, visit http://playground-la.org/suicidepreventionplaywritingcompetition.pdf for additional information provided by the American Foundation for Suicide Prevention. Selections will be announced on or about July 15, directors will then be assigned and casting will commence in August. A three-week rehearsal period is anticipated. 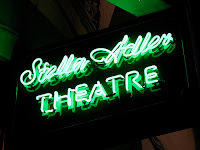 To apply, playwrights must submit a maximum ten-page double-spaced script (previously produced scripts are not eligible) via email to: prevention@stellaadler-la.com as Portable Document Format (.pdf) attachment. Applications must be received by 11:59pm, PST Thursday, June 30, 2016. The script must have the playwright's name, address, email and phone number at the top of the first page of the script and include a detailed cast breakdown, and all pages must be numbered. GUIDELINES FOR FORMATTING may be found at PlayGround-LA (http://playground-la.org/submit/ then click on ‘submission formats). 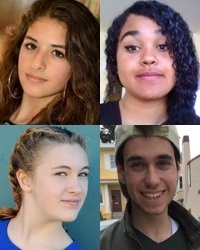 2016 Young Playwrights Finalists Announced! PlayGround is thrilled to announce the finalists for the 2016 Young Playwrights Contest… for the first time, all four finalists are from one school, San Francisco’s Ruth Asawa School of the Arts (SOTA)! PlayGround invited aspiring writers and theatre artists at the high school level to write and submit their own 10-minute plays inspired by the topic: MISTAKEN IDENTITY. The four selected plays will each receive a professional staged reading, presented as a “curtain raiser” before select performances of the 20th Best of PlayGround Festival (http://playground-sf.org/bestof) at Thick House in June. PlayGround invites audiences to join in welcoming these bold new voices to the stage. The selected plays/ finalists are: COMING AROUND by Isabel Rose Aks (SOTA ’19), IN BLACK AND WHITE by Camilla Dwyer (SOTA ’17), APARTMENT NUMBER FOUR by Cicely Henderson (SOTA), and MY NAME IS by Max Itsikson (SOTA ’18). Join us June 9-12 as we celebrate the work of these emerging young writers as a part of this year’s Best of PlayGround. For more info, visit http://playground-sf.org/youngplaywrights. Isabel Aks (Playwright, Coming Around) is a New York born, 14 year old girl living in San Francisco, California. She just finished her freshman year at Ruth Asawa School of the Arts, where she’s studying theatre. Coming Around is her first short play. Isabel started a business called “Petals for Parkinson’s” to raise money for medical research. In her free time, Isabel runs, babysits, and spends time with her friends and family. Camilla Dwyer (Playwright, In Black and White) is a student at the Asawa School of the Arts in the classical theatre program. She is a two-time PlayGround Young Playwrights Contest finalist, having been recognized for last year’s Home Front. She would like to thank PlayGround for this amazing opportunity, as well as her friends and family for all of their support. Cicely Henderson (Playwright, Apartment Number Four) attends the San Francisco School of the Arts and was first introduced to playwriting as part of the theatre department's curriculum. Intrigued by his year's “mistaken identity” prompt and influenced by urban apartment living, Apartment Number Four explores the relationship between judging others and the character of those who judge. Max Itsikson (Playwright, My Name Is) has just completed his sophomore year at SOTA and has been involved in theatre for the past 8 years. It is a great pleasure to be in this show! He would like to thank his playwriting teacher, Aren Haun, and all of his classmates. He would also like to thank the actors who are taking their time to put his play on. High school students from the Bay Area nine counties were invited to submit original short scripts inspired by the assigned topic, Mistaken Identity. This year marks the eighth year of the Bay Area-wide Young Playwrights Contest, through which PlayGround has identified and honored twenty-eight up-and-coming young writers. “Through the Young Playwrights Project, PlayGround and Bay Area high schools partner to enable young writers to find their own expressive voice through the creation, development, and production of short plays,” stated PlayGround Artistic Director Jim Kleinmann. A tremendous opportunity for creatively-inclined high school students to experiment with writing for theatre in the ten minute theatre form, the finalists gain immeasurable confidence and accomplishment from seeing their works staged by Bay Area theatre professionals, alongside the adult professional playwrights at Best of PlayGround. PlayGround, the Bay Area’s leading playwright incubator, provides unique development opportunities for the Bay Area’s best new playwrights, including the monthly Monday Night PlayGround staged reading series, annual Best of PlayGround Festival, full-length play commissions and support for the production of new plays by local playwrights through the New Play Production Fund and, PlayGround’s newest initiative, the PlayGround Film Festival. To date, PlayGround has supported more than 200 local playwrights in the development and staging of over 750 original short plays and 61 new full-length plays, including more than twenty that have since premiered in the Bay Area. For more information, visit http://playground-sf.org.